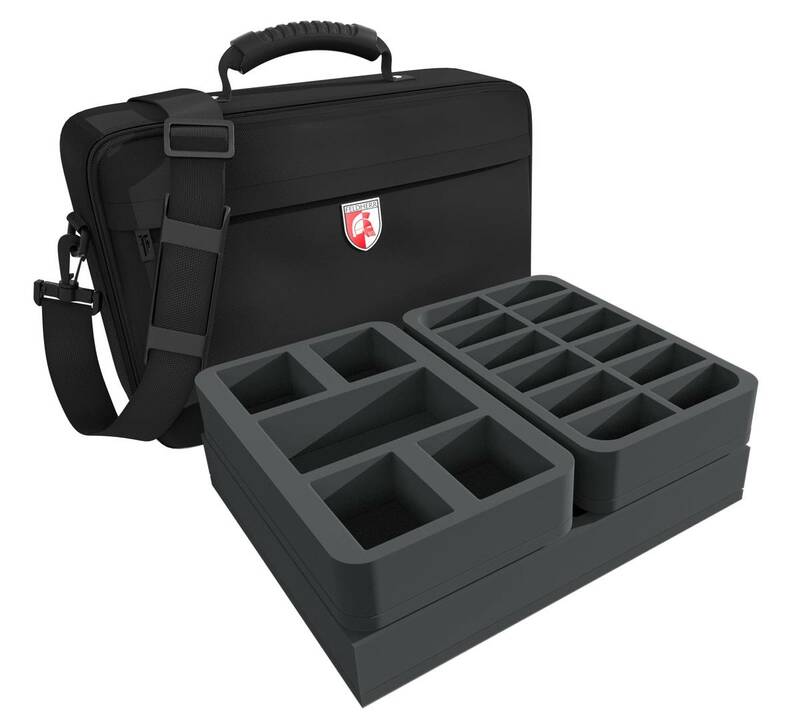 You don't need an extra solution to transport all the accessories and are just looking for a convenient way to get your miniatures safely from A to B? 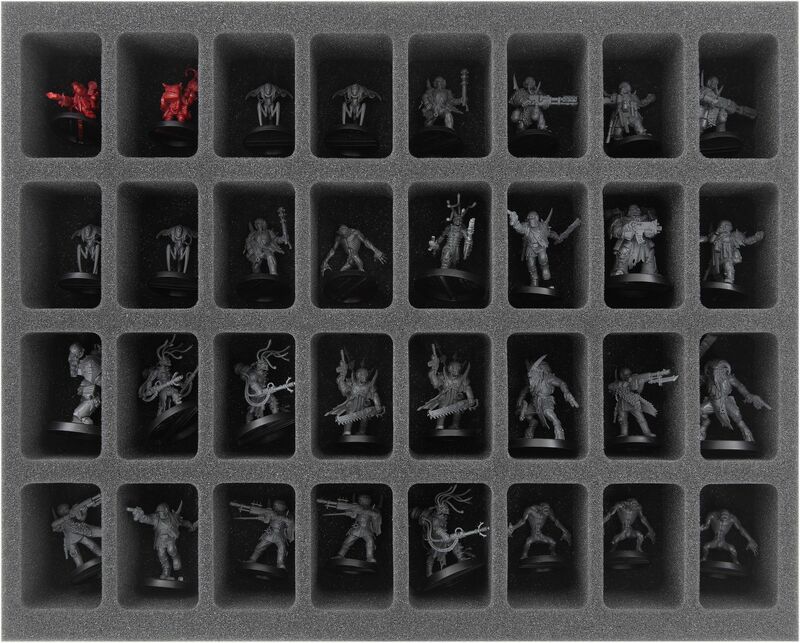 Provides space for all 44 miniatures from the 'Blackstone Fortress' core game. Additional foam tray for 5 miniatures from future expansions. 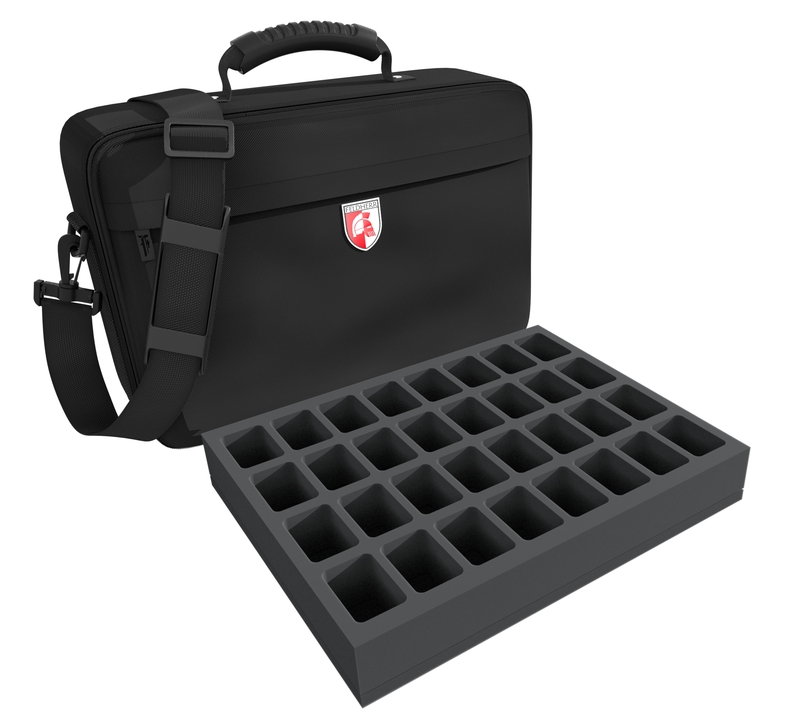 A large insert with 32 compartments gives you room for most of the Explorer and Hostile miniatures. Each model is assigned its own, custom-fit compartment, so that they don't slip around and collide on the way. Painted figures are thus optimally protected from chipping colors or scratches. 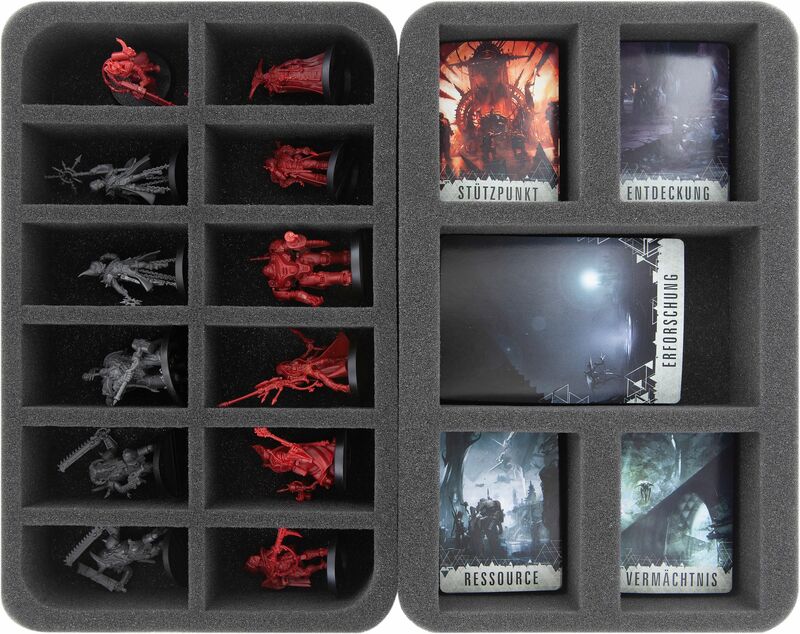 You place the remaining models from the core game on the Half-Size insert with 12 compartments. Here the warriors with expansive poses, scepters or larger weapons get a little more space. So Obsidius Mallex, the Rogue Psychers or UR-025 also have a suitable sized shelter. The fine miniatures are safe here and sensitive parts such as Vindictor, Chaos Stave or Monomolecular rapier are preserved from damages. Each of the 12 compartments is 73 mm long x 36 mm wide x 40 mm deep. The third insert in the package has 5 more compartments for you. Here you can store five additional models. Thus you are also equipped also for future 'Blackstone Fortress' extensions with this bag. Finally, a foam topper ensures that your figures are securely packed all around and well equipped for transport. The Feldherr MEDIUM bag is made of particularly robust fabric and ensures that its contents are optimally preserved from external influences. Padded side panels and a reinforced base additionally ensure that your miniatures are optimally protected from external influences even when transported by car or train. 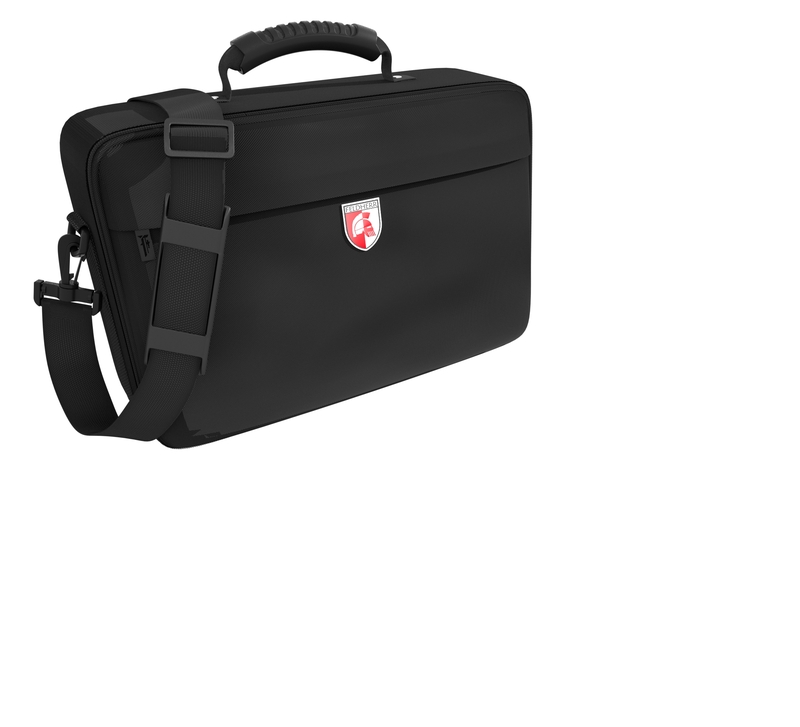 Besides the large main compartment, the bag has a small zipped pocket at the front. Here you can store the for example the booklets and other smaller things.